Let TLC Family Care Connect You With A Great Nanny! Are you looking to hire a nanny? Using a nanny agency like TLC Family Care is a great way to find a nanny. 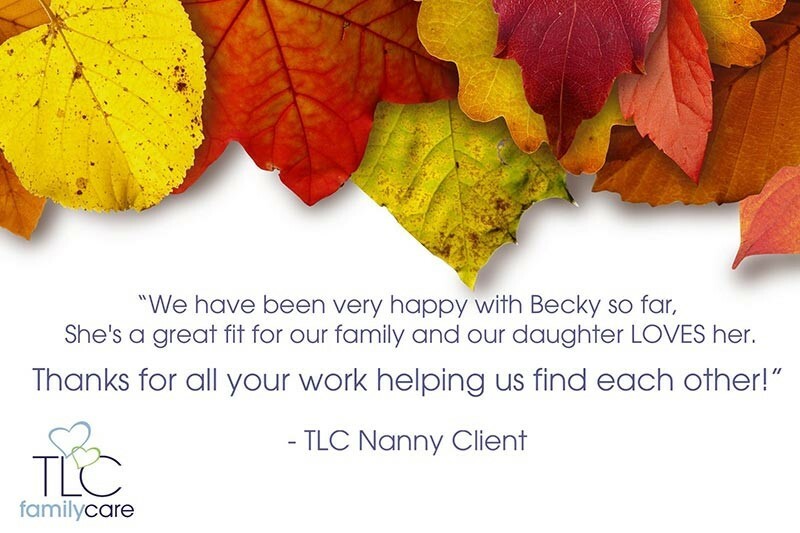 TLC has been assisting families and nannies for over 30 years and we want to connect you with a great nanny. We love hearing back from our nannies and families. This TLC family is sooo thrilled with their nanny! And, their daughter loves playing with her nanny everyday. Let TLC Family Care help your family, too! Hiring a nanny can be stressful and time consuming. It’s not easy for a family to do alone. Let TLC Family Care do it for you! Our placement counselor will take the time to get to know you and your family’s needs. We will present only screened and qualified nannies for your review. TLC will set up interviews with the nannies you want to meet. After meeting with the nannies, you make the final hiring decision. The process is easy and designed to connect you with a great nanny. Visit TLC Family Care to start your nanny search today.